Melania Trump was born 4/26/70 in Sevnica, Slovenia with no verifiable birth time. When a celebrity has no time of birth, astrologers use either a noon time or put the Sun Rising. 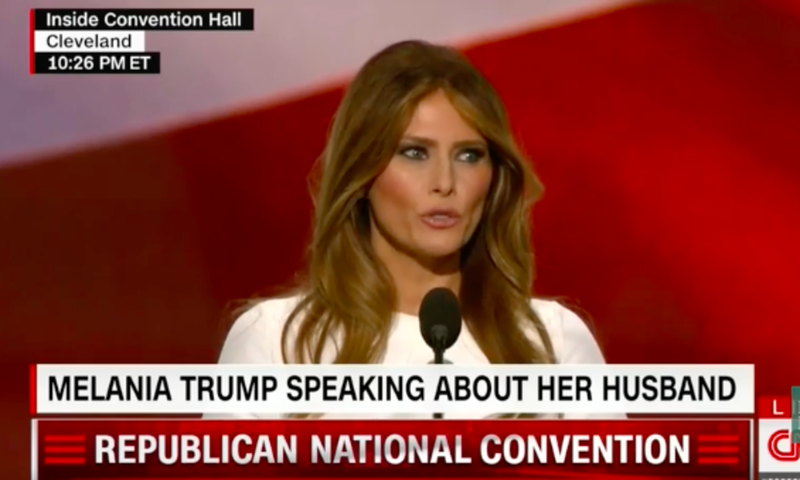 Since Melania is such a private person, it is doubtful that she was born at high noon. Therefore I’ve used a solar chart for her, which puts the Sun on the Ascendant. 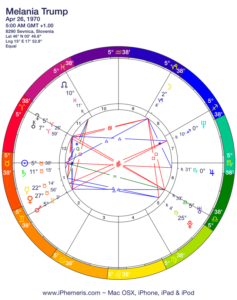 Unless Melania was born in the very early hours after midnight, the Moon was in Capricorn; this seems to fit her better than a Sagittarius Moon. Donald Trump has the Sagittarius Moon, which indicates his huge appetite for success, gambles and excess. Although Melania clearly relishes an opulent lifestyle, she is reserved, careful and in spite of her modeling background, conservative in her values. Even when a young model, she went to bed early, ate healthy and didn’t drink. In her native tongue, I suspect her words are just as measured and that she listens well. As a Taurus, she values the things that give her a sense of stability and comfort. The Capricorn Moon takes its time in achieving its goals; there are no shortcuts to success. I have questioned for months the willingness of Trump to serve as president, especially as Saturn approaches the point of his natal Moon in Sagittarius. His temperament is not one of loyalty or steadfastness, in spite of his wife’s speech, as my earlier posts demonstrate. It always seemed to me that he would bow out in deference to family. As the news makes sport of Melania, this may be the first sign of his famous habit of leaving when the fire gets too hot. I suspect Chimamanda Ngozi Adichieknows a bit about astrology… regardless, her fictional account of Melania for the NY Times is a brilliant read. Melania will make a glamorous First Lady. 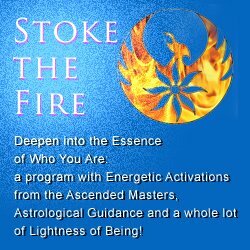 Can you please find someone famous in any field in US with my chart or very simmilar to Dec 5 1971 Capricorn ascendant Venus arising on it.Or just someone known enough with 4 planets in Saggitarious with just Venus rising in Capricorn without trines or conjunction to it please! Go to Astrotheme to search for your “astro twin”. They have a database with tens of thousands of charts by Astro Search Tools. By Date of Birth, etc!